As the last days of summer are fading into fall and you are just beginning a brand new school year. Homecoming is on the horizon! You likely already have your eye on that perfect dress and show-stopping pair of shoes, now it’s time to choose the perfect hairstyle to match. Take a look at these stunning styles and learn how to easily recreate them on dance night for enviable, crown-worthy tresses. This elegant spin on a ponytail never goes out of style. It is simple but formal, and best of all? It’s easy to recreate on your own hair! 1. Curl all of your hair in two to three inch sections with a large barrel iron. 2. Smooth over curls with a soft-bristle paddle brush, creating flowing waves. 3. Gather your locks to one side and secure tightly with a clear elastic band. 4. Taking a piece from the underside of your ponytail, wrap this section of hair around the elastic and secure with bobby pins. 5. Finish with a thin veil of hairspray. To keep this vintage style’s shape without weighing down your waves, the perfect hairspray to use is Moroccan Oil Medium Hold Finishing Spray. The classic nature of this side ponytail flatters all face shapes and is perfect for girls with medium to thick hair. Since this style is worn pulled over the shoulder, it pairs perfectly with a backless dress! 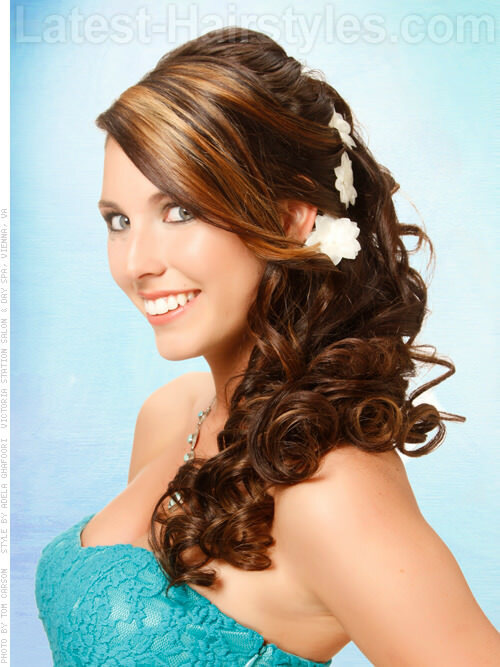 If you have long locks, these cascading curls make the perfect look on homecoming night. A criss-cross in the back creates a flirtatiously fashionable style that can be achieved easily at home. 1. Curl only the mid-shaft to ends of your hair with a one inch barrel iron. 2. After letting each section cool down, lightly run your fingers through them to accomplish a more tousled texture. 3. Separate the front of your hair on each side from just behind the ear. 4. Pull one of the front pieces to the back, crossing it over to the opposite side, and secure with a bobby pin. 5. Pull back the remaining front section, using the hair to hide your first pin, and tuck underneath your cascading curls to hide the second bobby pin. 6. Mist your style with a shine enhancing hairspray. Oribe Shine Light Reflecting Spray is the perfect match for your flirty curls as it tames frizz and flyaways while adding a glossy, luminous finish. This style works beautifully with all hair types and face shapes, but is especially perfect for helping to lengthen a round facial structure. This natural look is perfect for the low maintenance girl who still wants to stand out. Braids are seriously in style this season and can be worn by nearly any hair type and length, simply by adjusting the width of your sections. 1. For extra straight hair, spitz with a prep spray prior to flat ironing. 2. Using three strands from just behind the ear and near your hairline, create a braid. A simple, basic one will do perfectly, but feel free to get creative! Secure with a clear elastic to keep it nice and tight for the entire night. 3. Pull your braid over the top of your head and to the other side, pinning at the same location as you started on the other side. Paul Mitchell Hot Off The Press is perfect for spritzing on hair just before running a flat iron through it. Not only will you get a silky smooth result, but you will also be protecting your locks from up to 450 degrees of heat. This straight style beautifully elongates a shorter or round face and is a fabulous choice for all hair types. Wearing hair down is absolutely perfect paired with a strapless dress! We are seeing hair swept off to the side in ribbons of curls all over the red carpet this year. This voluminous look is especially lovely on ladies with extra long locks and can be worn high or low! 1. Curl your hair with any size iron, depending on what look you are going for. A smaller barrel will give you tighter ringlets whereas a larger one will create more of a wave. 2. Decide where you want your style to live. 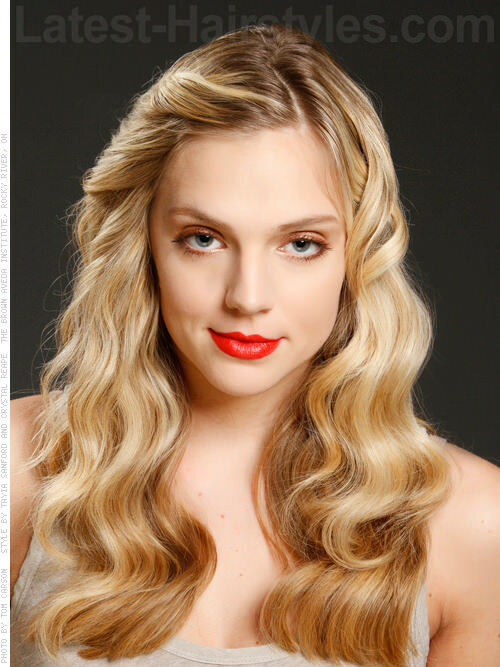 A higher setting can create an edgier, fun style and a low sweep is more romantic! 3. Brush hair away from your face and toward the side of your choice. 4. Beginning near the nape of your neck, simply twist and pin sections moving upward until all of your tresses feel securely in place. 5. This style calls for a strong hold hairspray! I highly recommend Session Spray by Kevin Murphy for finishing your style. It also protects against moisture and humidity. A curly, side-swept style is flattering on every shape and works best on ladies with medium to thick hair. Add flowers, embellished pins, or other hair accessories — this is a beautiful way to hide any bobby pins that may be peeking out. This stunning hairstyle is perfectly polished. 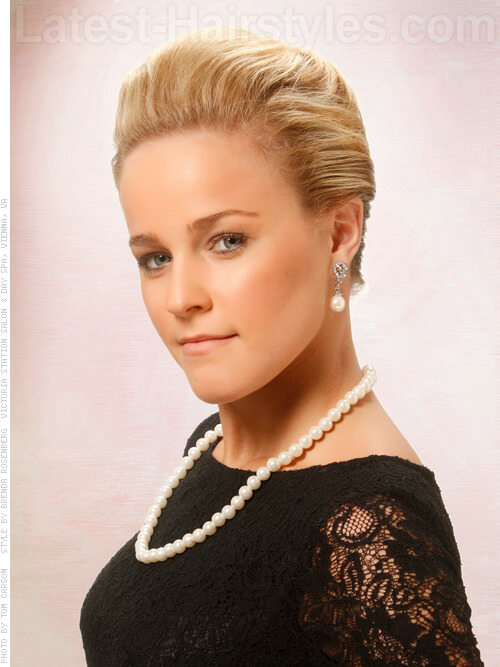 A fabulous French twist compliments an array of dress styles and hair textures. This prim and proper look can be achieved by girls with short hair, too! 1. Before blow drying hair, be sure to use a high quality smoothing serum. 2. Blow dry using a large paddle brush, directing all hair from the front towards the back of your head where your style will live. 3. Backcomb the top section, above your forehead, until your desired height is reached. 4. Smooth side and top sections back with a soft-bristled brush, lightly coated with a working spray to help tame any flyaways. 5. Collect all of your hair (as though you are going to secure it in a ponytail) and begin turning and tucking your twist, bobby pinning along the way. 6. Using the spike end of a tail comb, you can lightly tug any area that you wish to pop out with a little more volume. Straight by Unite Eurotherapy is a must have smoothing serum! This pulled-back style works best on a slender face and can be accomplished on any hair type. 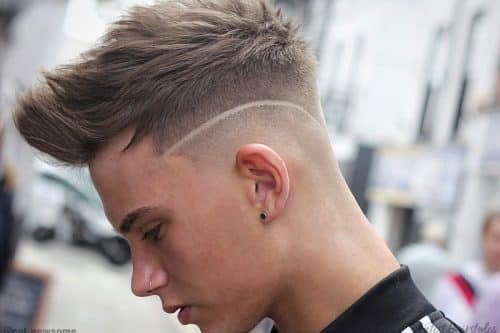 For those of you with short and sweet haircuts, follow the beginning steps of this style and simply skip the twist! 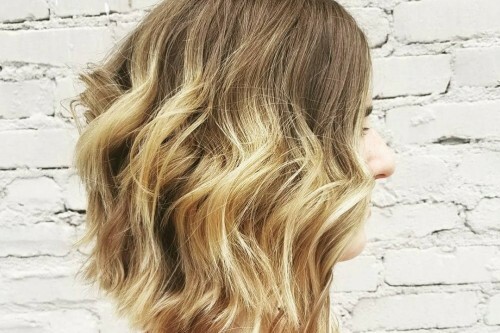 These graceful, Taylor Swift inspired waves are a gorgeous homecoming choice for those with medium to long hair (Have a bob? Try using clip-in extensions for the night!). This soft look is incredibly versatile, sweetly complimenting the most dressy or more casual outfit. 2. Use a hair wand (a heated barrel without a spring or clamp) and wrap two-inch sections directed away from your face. Pin these curls (mimicking a shape as if they were placed in rollers) and let them cool before releasing for the next step. This will help your style last until long after the last dance of the evening! 3. Use a soft bristled paddle brush (similar to a Mason Pearson style) to smooth your ringlets into the perfect mermaid-esque waves. 4. Finish with a light layer of hairspray, keeping in mind that too much spritzing can lead to your locks flattening instead of staying put. Using Redken Spray Starch 15 Heat Styler will ensure the longevity of your style. Bonus: It can be used on wet or dry hair to help your locks stay exactly where you want them! Long waves are a stunning way to soften an angular jawline. Keeping volume away from the crown of the head and toward the ends of the hair is also perfect for heart-shaped faces. Try this look if you have medium to thick tresses. Pinning your fringe in a simple backward twist can add an extra heir of elegance! This popular bun isn’t only for inside the ballet studio. It makes a perfect homecoming dance updo! As a bonus, you can choose to wear it high on your head, low on your neck or to either side. 1. Smooth hair over with a light nourishing serum and brush through. 2. Gather most of your locks into a sleek ponytail, leaving out small sections to create pin curls later. 3. Using a hair doughnut (found at almost any beauty supply store) or a sock rolled into the same shape, wrap the ends of your strands around the device and roll it up toward your scalp. 3. Once you have a bun shape, smooth and pin it into place. Any flyaways and loose ends can be tucked into the bottom of your doughnut. 4. Twist the remaining tiny pieces of hair into pretty pin curls, using hair pins to hold in place. 5. Finish with a thin veil of your favorite strong holding spray. Kevin Murphy Young.Again gives hair a healthy dose of antioxidants while leaving a glossy shine. This look is best if you have an oval or slender face. A hair doughnut is the perfect way to create the illusion of fullness on girls with finer hair types! The classic updo gets a bohemian twist with this stunning hairstyle! You may want to grab a friend (or a second mirror) to help you with this look. 1. French braid one side of your hair, beginning near your temple and ending on the opposite side just above the nape of your neck. Secure the end of your braid with bobby pins to ensure that it remains tight against your scalp. 2. Brush your remaining tresses, incorporating any ends left out of your braid, into a smooth ponytail. Use a clear elastic to help it stay put. 3. Curl the hair in your pony into ringlets. 4. Twist your curls into spirals, strategically placing in order to hide your hair tie, and pin at the base of each. Use your hairspray as you go to give your style insurance. 5. Keep pinning and spritzing until you are happy with your finished style. To keep this style from falling during a night on the dance floor, make sure to use a strong hold hairspray like Moroccan Oil Strong Hold Finishing Spray. It provides strength without leaving hair feeling crunchy. An updo with a side-swept bang is gorgeous on heart-shaped faces and works perfectly with medium to thick hair. Be creative! This style is your own work of art. This gorgeous style is the perfect example that a formal look can be beautifully created on short hair. 1. After shampooing, blow dry hair smooth with a paddle brush. 2. Curl only a handful of sections with a small barrel iron, focusing on the top and crown sections. After releasing the iron, hold each section in the palm of your hand until they have cooled. This ensures a long-lasting, tight spiral! 3. Lift and pin each section slightly back from where it usually lives. 4. Finish with a strong hold hairspray. You won’t have to worry about touch-ups the entire night using Davines No. 9 Structuring Mist to finish off your look Bonus: It smells AMAZING! This hairstyle can be created easily on any texture of hair that is cut into a bob and will perfectly suit a slender face shape. This style is made to wear the crown. Follow the simple steps to recreating this romantic look and you are sure to feel like royalty all night long! 1.Blow dry hair using a “root booster” to lift locks to glamorous heights. 2. Use a medium-sized barrel iron to achieve these bouncy yet defined curls. 3. Tease hair beginning just behind your fringe, using a texture spray to help create volume. Smooth and pin backcombed section in place near the crown of your head. 4. If desired, brush your bangs and side sections towards the back of your head and secure into place. 5. Finish with your favorite hairspray! I love Dry Texture by Oribe for giving lots of va-va-volume while back combing and Kevin Murphy Full.Again as a root booster. This style is gorgeous on any face shape and can be most easily created on hair with lots of natural fullness. Now that you have chosen a fabulous hairstyle to compliment your picture-perfect homecoming look, you can start daydreaming about all of the other little details of dance night, like your hot date. Be prepared to be swept off of your beautiful feet wearing one of these beautiful homecoming hairstyles!